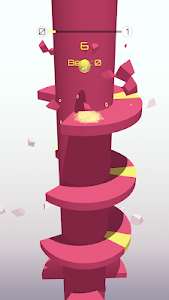 Twist and jump through spiral tower platforms and collect special points to unlock different balls! Helix Twister is a unique game. 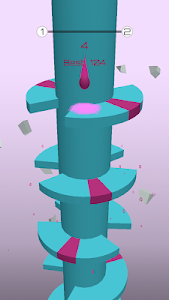 its bouncing ball type with new idea of paint blocks and paint tower. A hand-eye combination is important to control the ball is beautifully falling down and full of sparks on the beautiful and colourful tower with spiral ring around it. Think fast, Twist and move fast into the color down road, an Exciting adventure bouncing ball through the Twister helix tower road . 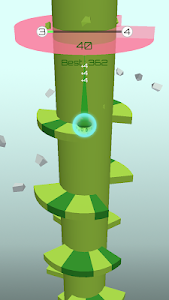 Tap on screen to jump and bouncing down the ball to avoid obstacles, be careful to hit the yellow ostacles . 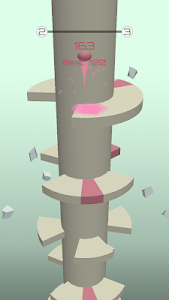 • Tap to jump over obstacles, but be careful to hit the yellow platforms. 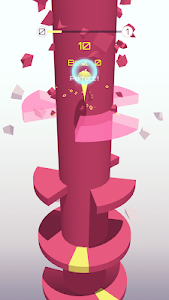 • Collect coins to unlock stylish new characters and colorful new helix ball. 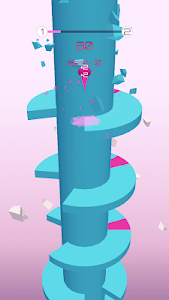 • Slide down the Spiral as far as you can and get the best score in the world! 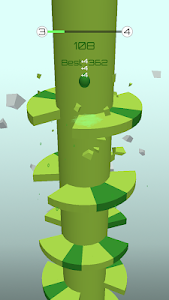 Slope the ball down and avoid yellow obstacles, else game over. 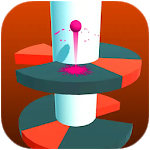 Enjoy Playing Helix Jump 2018 and bouncing ball. * Add Dynamic Background! The background will change color randomly! * Add free coins! Collect free coins every 5 minites! * Fix screen rotation bug. More features are coming soon, stay tuned! Play Helix Jump for free NOW! 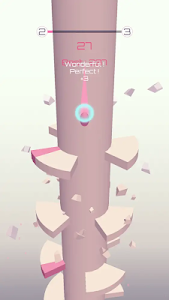 Similar to "Helix Jump 2018"